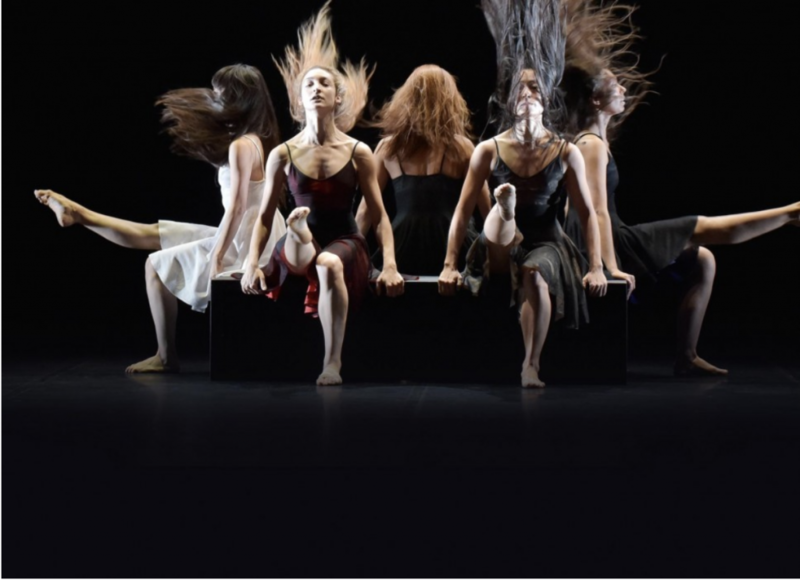 We’re already in the holiday spirit at Coucou and especially excited by the events happening in NYC this December! We’re kicking of the month with our French Holiday party, where you’ll be able to see our magnifique Christmas tree, share drinks with other francophiles, and, best of all, potentially win a round trip ticket to Paris with XL Airways! This month you’ll also be able to go to a screening of Gilles Lellouche’s new film, Le Grand Bain, join the French book club at Albertine, make your very own bûche de noël, and even learn to play our all-time favorite card game la belote over a warm raclette. 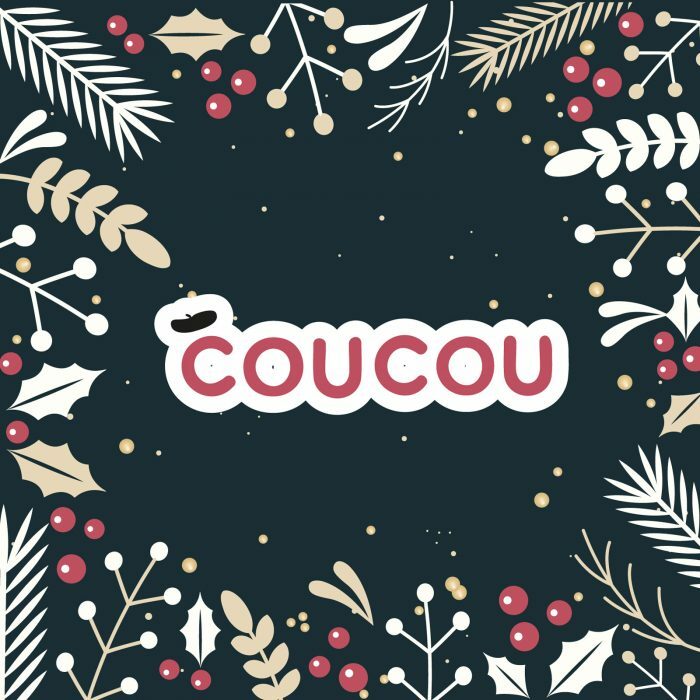 You don’t want to miss Coucou’s annual Holiday party where you’ll be able to speak French, enjoy a glass (or two) of mulled wine, and participate in our raffle! The first prize is a round trip ticket to Paris with XL Airways, and there are many others from Murray’s Cheese, La Compagnie des Vins Surnaturels, Michel et Augustin, Wooln, and Café Maman, as well as the possibility to win group classes at Coucou! Bring along your friends! 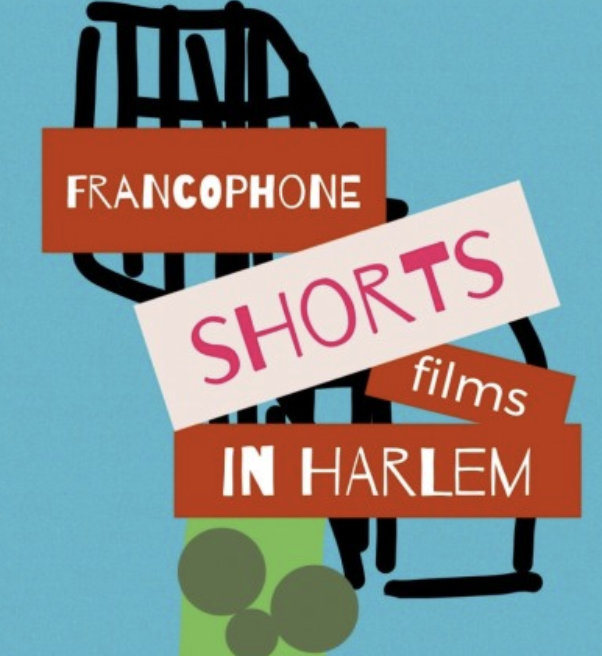 Francophone Shorts at the Maysles Cinema in Harlem showcases the best recent short films of Belgium, Benin, Burkina Faso, Cameroun, Canada, France (including La Réunion), Ivory Coast, Senegal, and Switzerland. You can attend a screening of the shorts at 4:30pm or 7pm. The Lycée Français is presenting the 4th edition of “Oui, But Why?,” a day-long event dedicated to the importance of culture. Authors, psychologists, sociologists, professors and researchers will discuss the importance of reading and its future in an increasingly digital and multicultural world. Alongside the discussion panel, there will be a Cultural Fair, which will include book signings, bookshops, publishers and stand exhibitors offering services and activities related to French and francophone culture. Workshops for children from 6 months to 12 years old will also be offered during the morning. French Movie Nights was created in 2016 and features the best French-speaking films and documentaries of the year, as well as French classics. 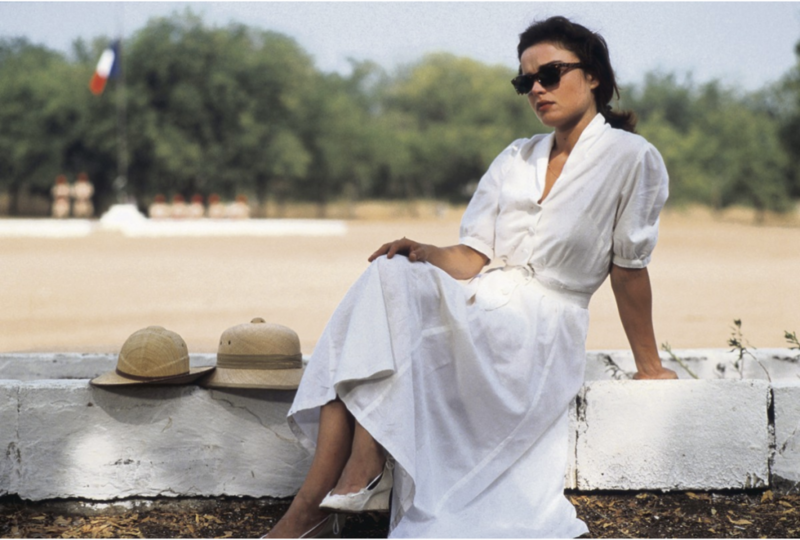 You can enjoy a highly acclaimed French film followed by an hour of drinks where you can share your thoughts about the film with other moviegoers. 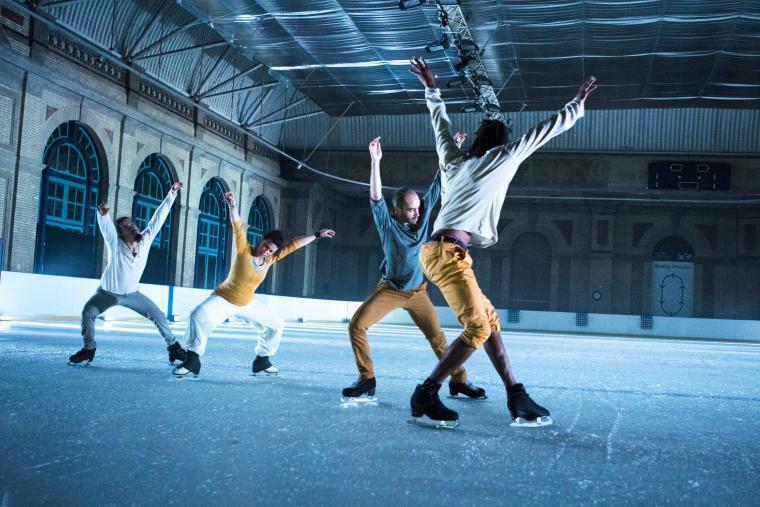 Le Grand Bain is about a group of 40-something guys, all on the verge of a mid-life crisis, who decide to form their local pool’s first ever synchronized swimming team… for men. Braving the skepticism and ridicule of those around them, and trained by a fallen champion trying to pull herself together, the group set out on an unlikely adventure. 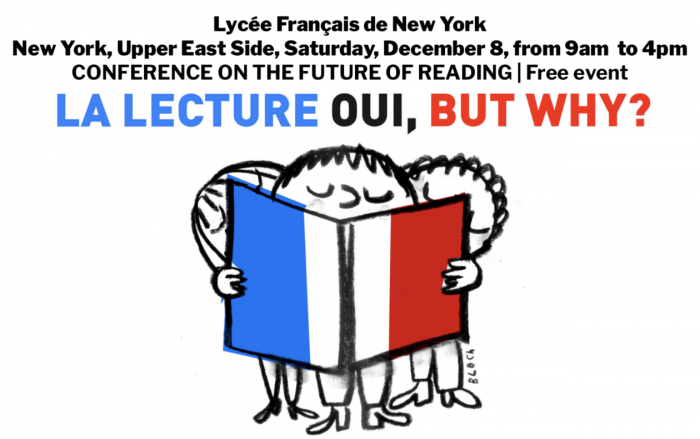 You can join Columbia professor Caroline Weber, the staff of Albertine and the French Embassy’s Book Department for a lively conversation around classic and contemporary French literature once a month! The Albertine Book Club is open to and free to Albertine members and students with a valid student ID. Escape your daily routine for a few hours each month with books, friends and a glass of wine! In December the club will be discussing (in English) The Years by Annie Ernaux, one of France’s most famous contemporary female authors. 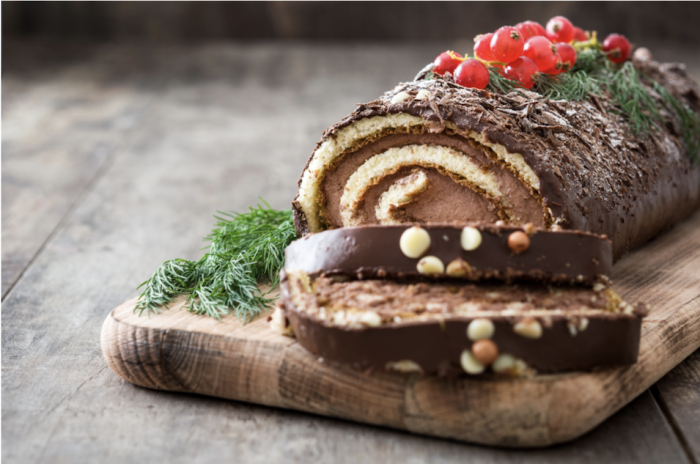 The bûche de noël (or yule log) is one of the most famous French desserts, made with sponge cake and buttercream frosting! In this atelier, you will work with chef Simon Herfray to make your own bûche de noël, which you can take home with you at the end of the event! David’s Café, in the heart of the East Village, serves French-American food in a casual environment. You can drop by in the evening to enjoy a glass of wine and raclette at the reasonable price of $25! You’ll also be able to play at one of France’s most popular card games, la belote! It’s similar to pinochle, but don’t feel intimidated if you’re not familiar with the rules of pinochle, beginners are welcome.